Eight ways parents discourage their children from reading. Hubby dear has been using Avocado lately in his smoothies so we have pits. Decided to see if we can grow our own. Found this video. We'll have to see if we can get growth. So far we have three started in water, hope to remove bottoms today to encourage growth. This morning we to HOPE days as a family. This is our cooperative teaching time with our homeschool group HOPE. I am teaching a class on rabbits and other small animals as well as assisting in a Drama Class. My son is attending a gardening class and a trip involving six countries. It's a good experience all round. Anyways, when we got home the lad wanted to play with some of his toys but I kept falling asleep on him due to a short sleep night, so I suggested instead that we do an experiment. We are using Supercharged Science as our science at the moment and for a while I've been wanting to the hovercraft experiment. Being the scientists that we are we switched it up a bit. Aurora experiment called for paper cups, CD discs, juice lids, balloons and hot glue. We chose that the lad would use a CD disc and I would use a plastic protection ring. We wanted to know if there would be a difference in how they worked. The directions Aurora gave didn't work for us, due we think to the difference in juice lids. We found what worked best was popping open the lid. see the hovercraft in action. I tried to get the lads but well.....he doesn't like his face showing on-line and I just couldn't get one without his face. (too happy that it worked he was). We've been getting to know one of the families in the KICK homeschool group. This week being March break I thought it'd be nice to get together with them and we chose to go to the Kinsmen Sugar Bush. We had fun. One of her girls wasn't feeling well so we decided to go back to her place for lunch rather than eating out. The children had fun playing together as well. they used the antlers to move stones to the sap to heat it. We started off learning about the tools and equipment that the First Nations people would have used to make maple syrup. Then moved on to the Pioneers. From there we went on to learn about flat pans. And finished off learning about the more modern ways of doing things. Canada produces about 90% of the world's maple syrup. Of that 90%, 80% comes from Quebec - they have a longer sap run and bigger wood lots. Pans are made in such a way that the denser the sap gets the more it moves in the flat pans until it is ready to be poured out and filtered. This bush produces enough syrup to supply their pancake house. So we picked up a children's magazine the other day and it was all about art. This intrigued the lad and since we needed to go out of town we decided to look for outdoor art. Being that it's still winter it made it a tad more difficult, but we did manage to find some art. Cement the Learning - make it hands on. 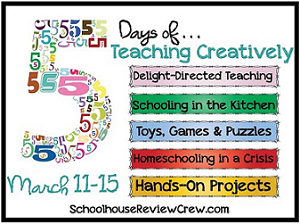 Today is the last day for the Days of Teaching Creatively Blog Hop. Today's focus is Hands-On Projects. Hands on Projects are basically anything that you use your hands well to put together. 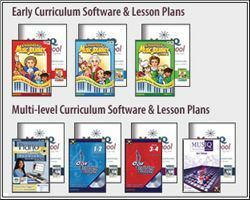 They can be lapbooks. Things made with Lego - for instance this hidey hole for a trap door spider. You could make a paper mache globe and then paint it. And why do we do these things? Why are we willing to make ourselves and our children messy with doing more than book work? 3. it provides opportunity to think about how doing something may have been difficult or easy for the people involved. 5. when living with a lad with an artistic slant, finding a way to add artistic type things just makes the learning go down smoother (and thus be better retained).